Costa Rica is famous for its rich coffee, often grown at high elevations and characterized by brown-sugary sweetness, citrus notes, and fruity flavors. 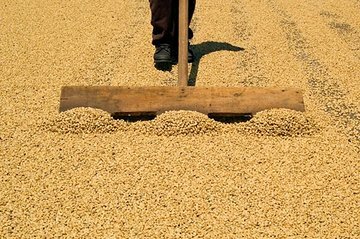 This tour takes you into Costa Rica’s mountains and allows you to visit two picturesque towns along with the Doka Coffee Estate, where you can learn ancient techniques used to produce fine coffee brews. Along the way, your guide navigates and points out notable sights. A great combination tour. Started at a large coffee plantation where you get to see the various steps in the coffee making process. Then proceed to Sarchi to see an oxcart factory which was a highlight. It was amazing to see the artists working and learn the steps involved in creating oxcarts.